Having studied Roald Dahl's Danny Champion of the World, P5/6 set about researching pheasants. 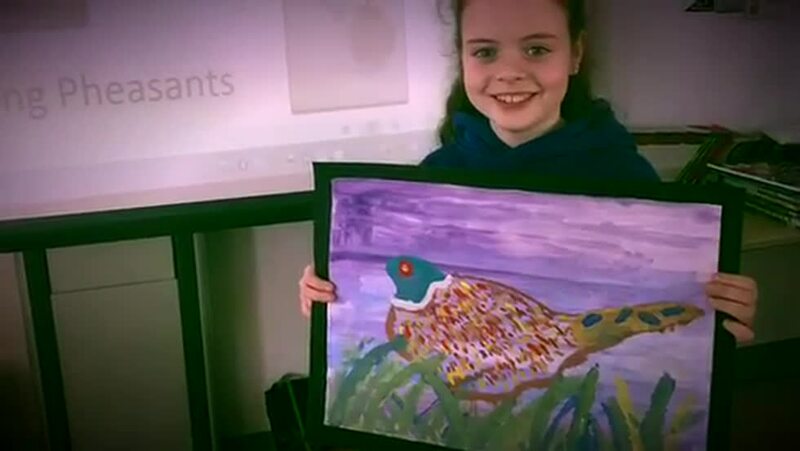 Pupils sketched interesting angles of these birds and using water colours, they meticulously painted their studies, building up layers of colours, learning how to mix primary colours to create secondary and tertiary colours. The success and pride in their work is clear to see. Well done to all the boys and girls. Keep up the great work!